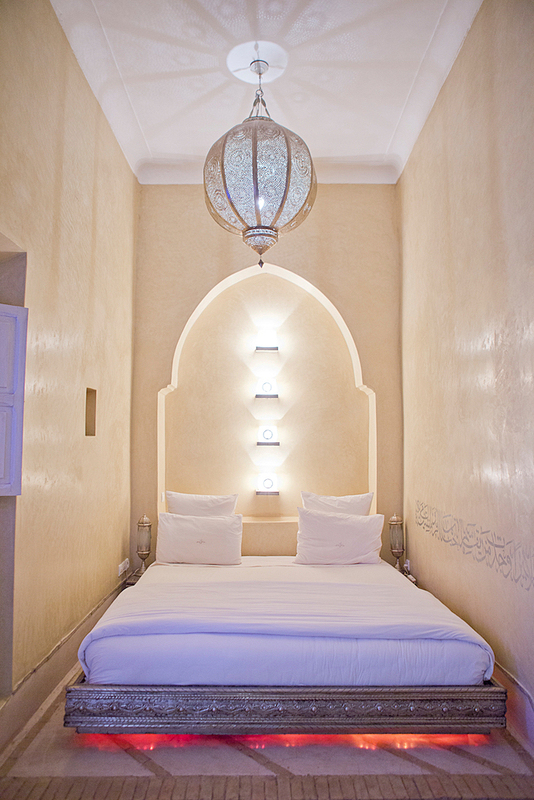 Riad AnaYela. 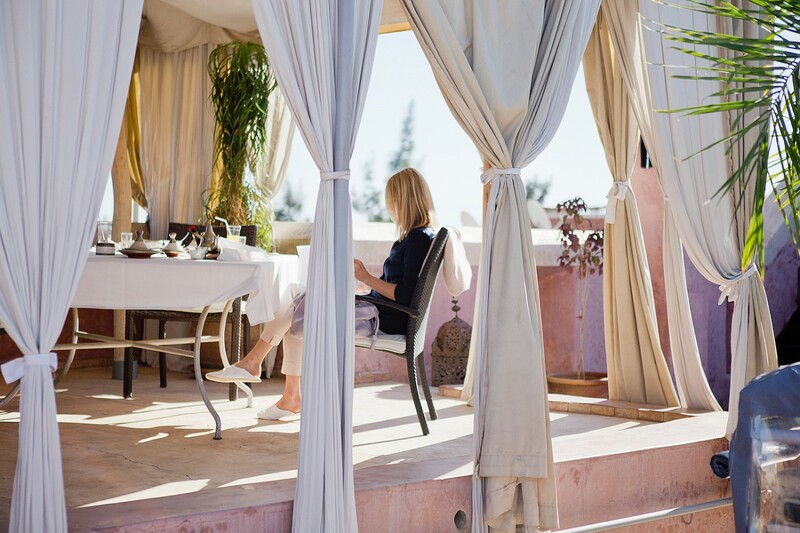 I couldn’t wait to finally fly to Marrakech, which was probably one of the most popular blogger destinations in 2015. 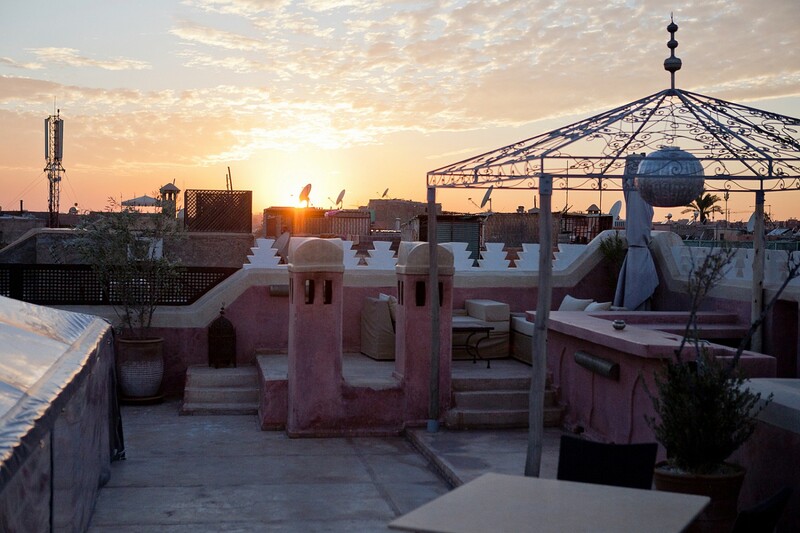 Therefore, I was excited and happy about the invitation from Riad AnaYela, a small luxury Riad in the North of the old town, the Medina. A dream of Thousand And One Nights! 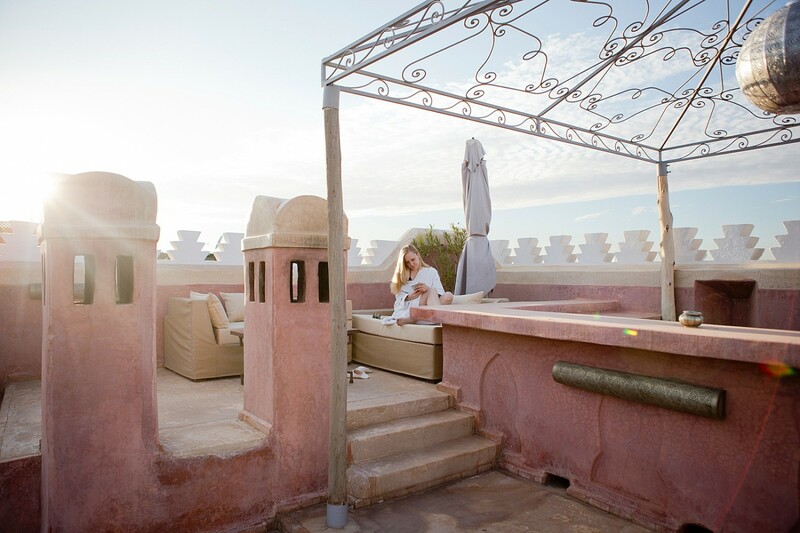 The AnaYela is part of the Green Pearls, which is a fine selection of unique and sustainable hotels worldwide. 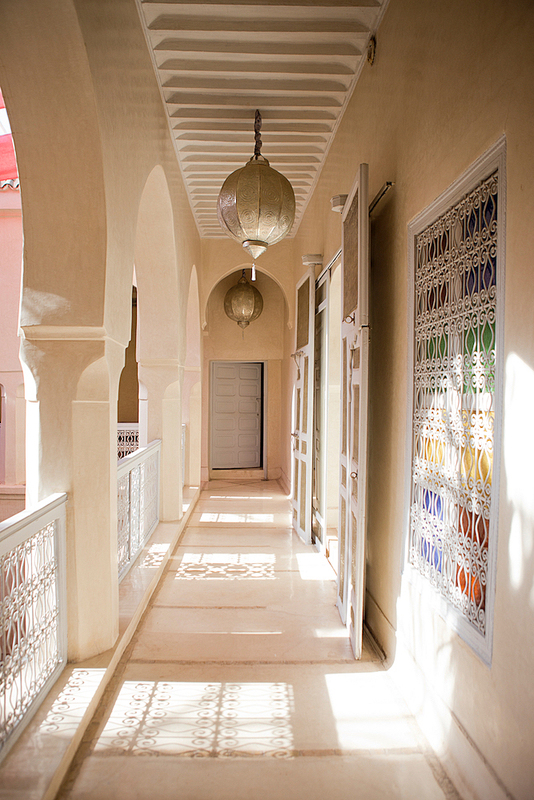 When we entered the Riad we knew that this place was special. Luckily, we were picked up from the airport because we would have probably got lost in the jungle of streets in the Medina. 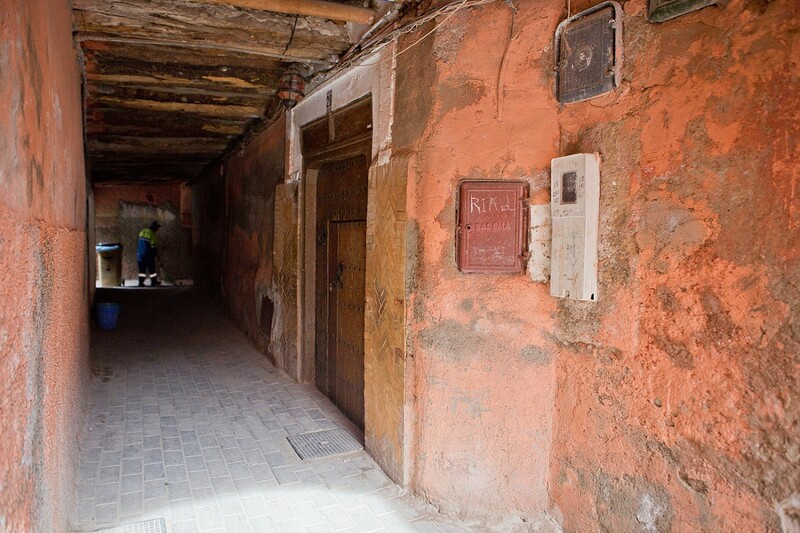 In fact, it lies pretty hidden in a small alley (see a picture below) and you won’t be expecting a little dreamy getaway behind those doors. We were warmly welcomed and immediately asked for our shoe size. We got our own leather slippers and were asked to leave our shoes in the foyer. 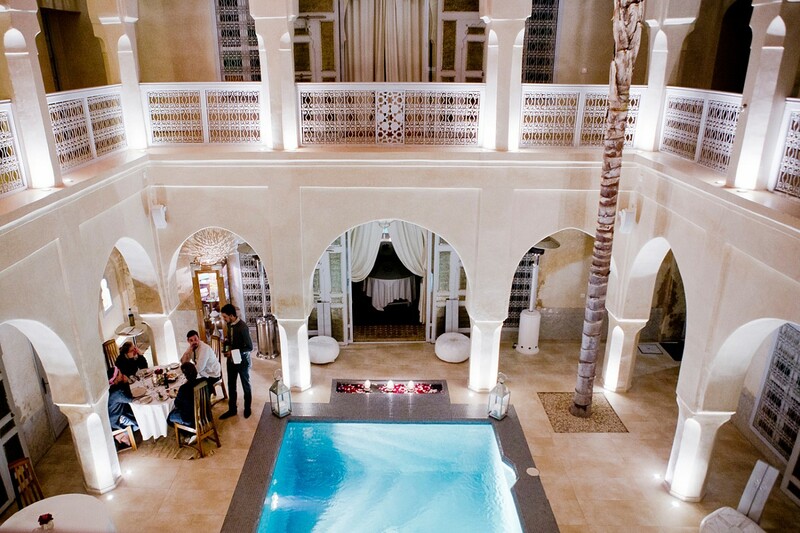 After the foyer you’ll enter the lovely court with a small swimming pool in the middle. 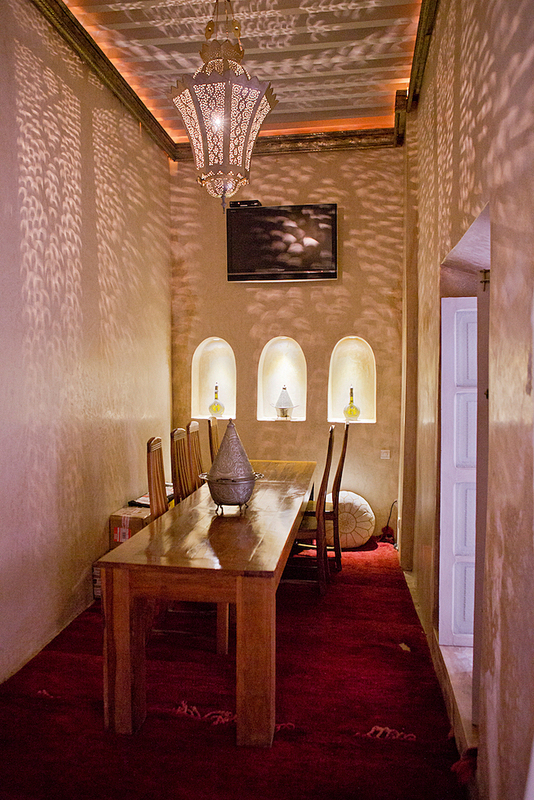 The AnaYela is decorated so lovingly, traditional but still modern and clean. 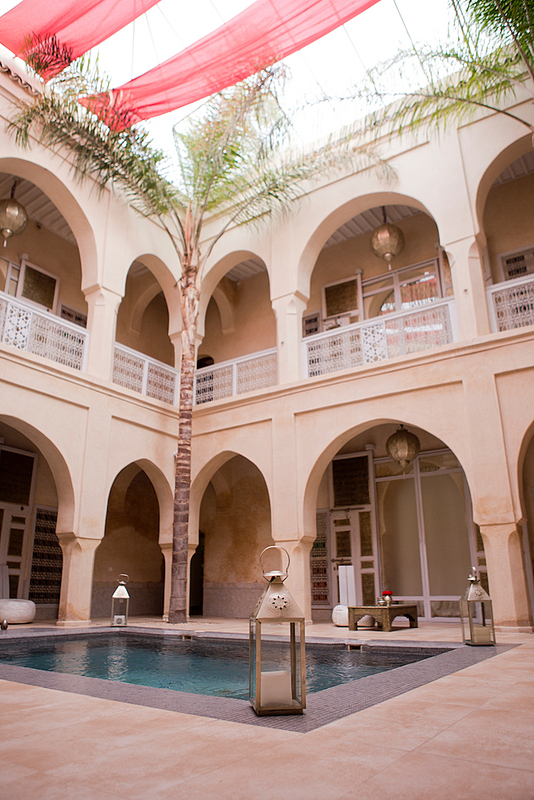 A typical Riad is always constructed around a central courtyard with rooms around on one or two floors. In fact, there were two rooms on the ground floor and three more rooms on the upper floor. That’s everything and your stay will remain personal and unique. The AnaYela has only three rooms and 2 suites. The rooms are divided into chapters. 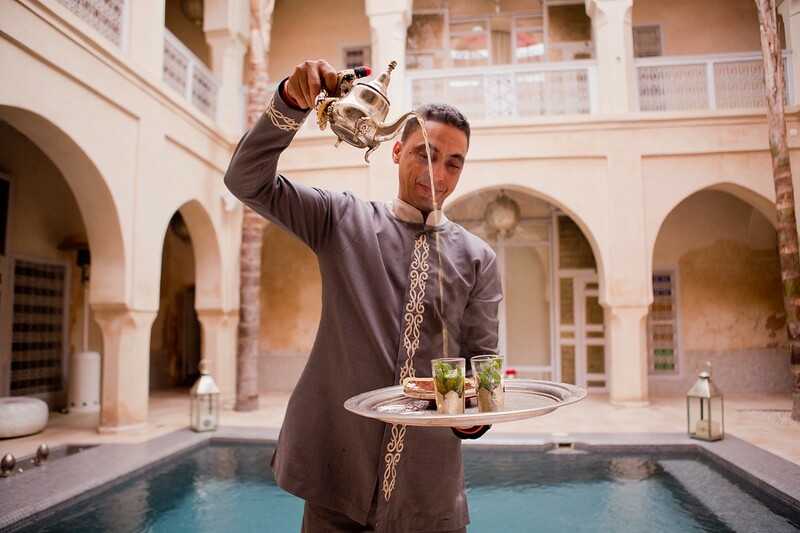 If you’re booking the whole Riad you’ll have a story of five chapter. The room had all we needed and there was a large comfortable bed to the left. In the middle we had two small pouf chairs with a couch table and a spacious bathroom was to the left. You could close the room with two glass sliding doors and a heavy curtain. The way of living is a completely different one, because the room looks quite dark at first. 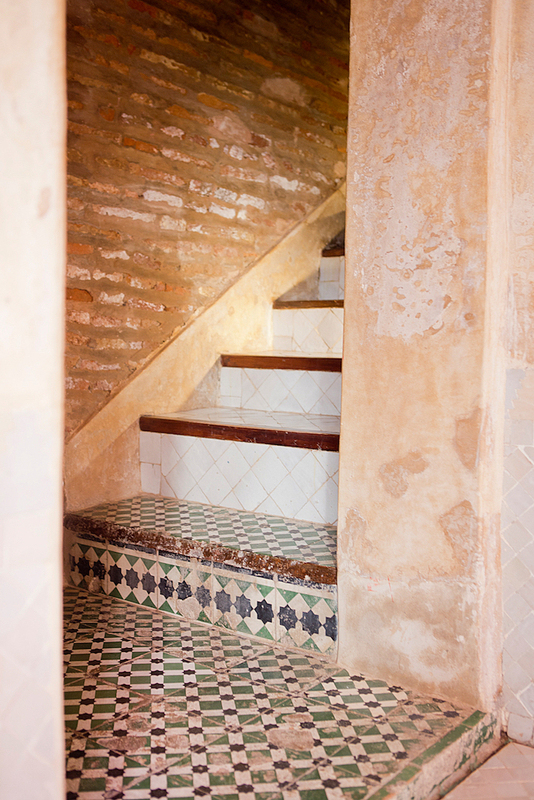 In fact, you’ll stay more outside the room in the courtyard or on the terrace. This creates a complete different way of communication within the building. On the other hand, it was so nice to sleep in this darkened room because I’m quite sensitive to any light and the room was dark enough. The bathroom was perfect as it had enough surface to place all our cosmetic bags, which most of the hotels lack. The bathtub was enormous and perfect for a relaxing bath for two (in case you’re traveling with your boyfriend). My mum enjoyed her bath alone. A double room cost 190€ / night. 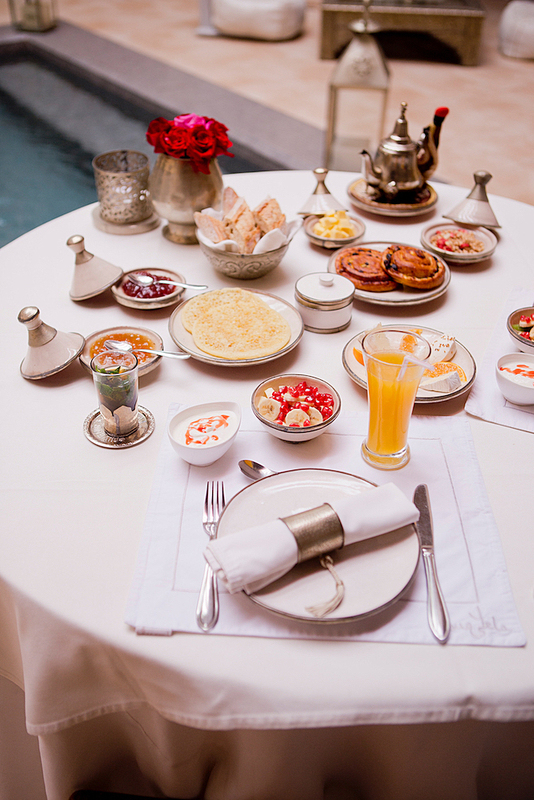 A good breakfast is always the best way to start the morning. 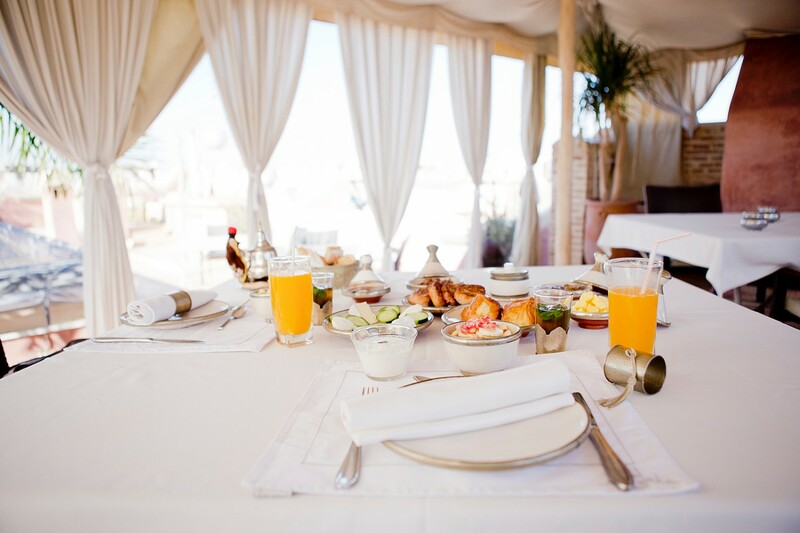 In the AnaYela they always prepared our breakfast freshly and it is all so lovingly prepared. On our first day we got yoghurt with fresh fruits, raisin rolls, a sort of Moroccan crepes and a plate of cheese along with fresh baguette. We wondered if we would get the same breakfast again the day after but we didn’t. Along with the cheese plate, and fresh fruits we also got some pain au chocolats and more pastries. Everything was so good and it was the perfect brunch! A good Thé à la menthe couldn’t miss, which is one of my favourite teas. You should definitely order it sweetened as it can get really bitter. 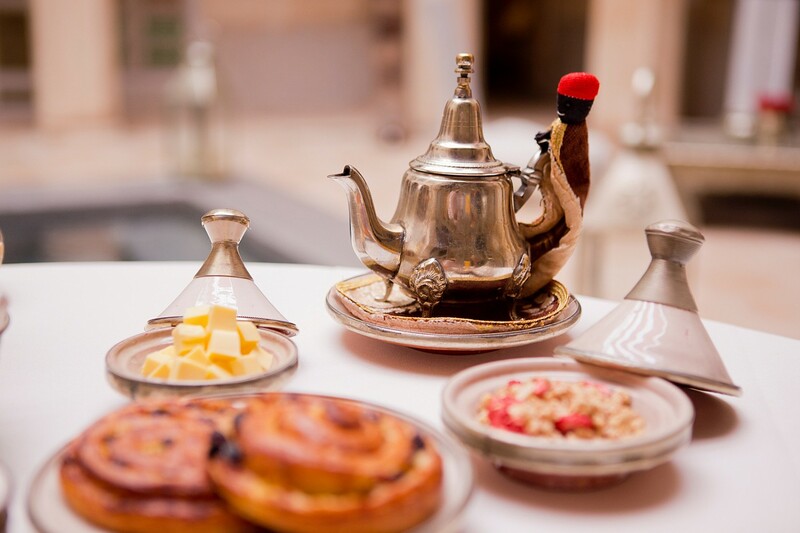 We were so in love with the small Tagine pottery, where the jam and butter was served in the morning. 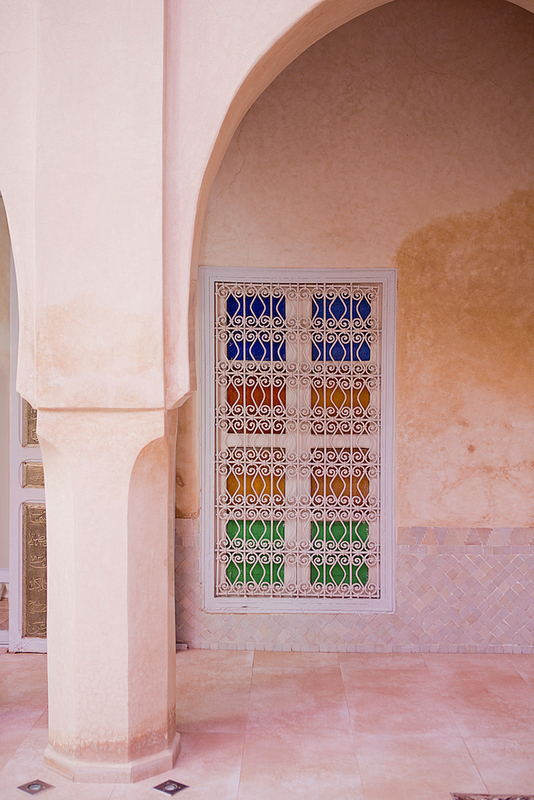 Even though, nearly every shop had them, they didn’t have the same quality we had at the Riad. In the end, they were selling them and we were so happy to get some. Although they were nearly three times the price you would get them in the Souks you saw that they were hand made and of great quality. On our first day it was a little bit too nippy for having breakfast on the terrace but we enjoyed the sun on our second day. On the terrace they also have a real desert tent. Therefore, you don’t have to drive far to get some desert feeling right in the city. I would have loved to go to the desert but our time was way too short for that. With the time change we managed to get up super early to see the sunrise around 7am, which was such a great idea. The whole city was still asleep and it was super calm. Also, we always came back in the late afternoon to see the sun setting. You’ll see more impressions in my travel diary! *thank you for the amazing stay! Oh mein Gott – das Riad schaut ja traumhaft aus!!!! Deine Bilder fangen die Stimmung so schön ein, mein Favorit ist der Herr der den Tee so schwungvoll eingießt :D wie schön!!! Wirklich ein sehr schönes Riad! Ich war vor kurzem in Marrakesch auch in einem Riad und ich würde diese Art des Wohnens jederzeit einem Hotel in Marrakesch vorziehen!